An important part of the work MSF does in Bossangoa includes the development of local staff working at the hospital here. They are already doing an amazing job but are eager to learn further. 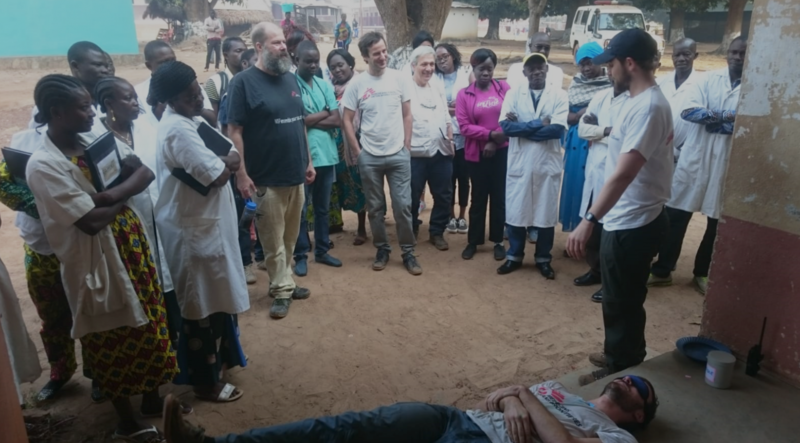 This is why we try to regularly organise training events, not only with the MSF staff but also with the staff employed by the Central African Ministry of Health. For example, this week I organised an Excel training oriented toward supply logistics, to allow my team to gain in autonomy and increase their analytical skills. I also participated as a special guest in a training about bacteria which are resistant to antibiotics. This is an important topic to cover because antibiotic resistance makes it harder for our teams to treat infections and to help patients recover. Marc, the pharmacist of the project, came up with a great idea to transmit the message in a fun way. One evening he asked me: "Antoine, I need a volunteer to participate in a little play I’m planning at the hospital about antibiotics. You won’t know anything about it and you have to promise me that you won’t be mad..."
Of course, I accepted; how bad could it be? So here I am, one Wednesday morning, standing in front of all the hospital staff. Blindfolded. Marc goes on with a bit of theory about how antibiotics help us fight infection, and how bacteria can become resistant to them. Then he introduces me and Eric, the other “special guest”. "Here are two bacteria, Antoine and Eric. Antoine is bacteria which are susceptible to antibiotics. Eric is bacteria which are resistant to them." He gives us each a big handful of confetti and tells us to stick them in our pockets. He explains that these tiny pieces of coloured paper represent the bacterial structures that the antibiotics should destroy. I can’t see anything because of the blindfold, but I put the paper in my pocket. "Now, the doctor prescribes antibiotics to kill the bacteria." Suddenly I’m drenched in water. 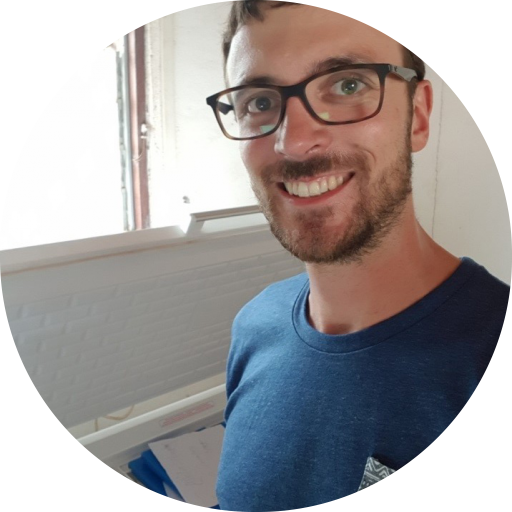 At that point Marc had thrown a bucket of water representing the antibiotics... As I was blindfolded I was quite surprised, but Marc went on: "Antoine does not have a protective layer, he is wet and all the structures and proteins in his pockets are destroyed." Taking off my blindfold, I realised that Eric, playing the other bacteria, was wearing a raincoat! "Bacteria Eric has a protective layer, which means the contents of his pockets have not been destroyed. He resisted the antibiotics. He will continue to proliferate, causing more infection." "And this is why antibiotics have to be prescribed with care. We have to ensure that no more resistant Eric bacteria will appear." The training went on like this with several other small plays, and in each one I played a bacteria which was not resistant to antibiotics. As I was always the non-resistant bacteria I finished the training completely soaked, but the staff had a good laugh and I think will definitely remember something about antibiotic-resistant bacteria.